November 28, 2018 – Ten DCRI faculty members are listed in a new ranking of the world’s most influential researchers. Once again, several DCRI faculty members are included in the 2018 Highly Cited Researchers list compiled by Clarivate Analytics and Web of Science. The DCRI researchers listed on this year’s list are Robert Califf, Lesley Curtis, Pamela Douglas, Christopher Granger, Richard S.E. Keefe, L. Kristin Newby, E. Magnus Ohman, Manesh Patel, Michael Pencina, and Eric Peterson. Pencina, the school of medicine’s vice dean for data science and information technology, appears on the list in two separate categories. Several of this year’s researchers also appeared on previous year’s lists. This year’s list of 6,078 names recognizes world-class researchers for their production of multiple highly cited papers that rank in the top one percent by citations for their field and over the past decade (2006 to 2016), based on Web of Science data. Clarivate’s website allows users to explore the data further. 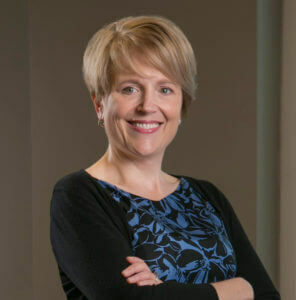 “The Highly Cited Researchers 2018 list helps to identify the researchers who are having the greatest impact on the research community as measured by the rate at which their work is being cited by others and that contributes so greatly to extending the frontier and gaining knowledge and innovations for society,” said Annette Thomas, CEO of the Scientific and Academic Research group at Clarivate Analytics.